Hip Brown Things: Are you feeling Merry Hairy yet?? Things have been a lil quite around here, I know... have certainly missed you all :-). Lately an annoying run of poorly children has definitely thrown a spanner into the Hip Brown works. Think they are all on the mend now, bless them ;-)! 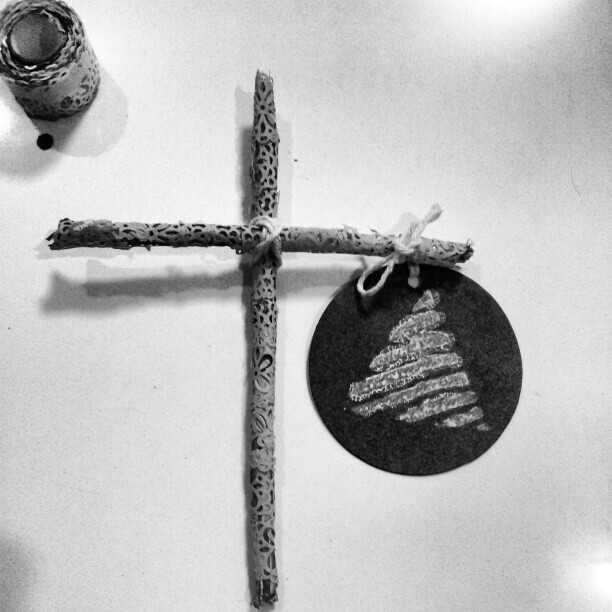 On a much more chipper and merry note, we finally have our Xmas on now... do you too? Here is our front door. I made this wreath last year, just out of a few bits and bobs I found from home. I added some feathers just to be a tad more wild and crazy this year ;-). My favorite Xmas colour palette is red, silver, white and natural. What are your merry hairy colours? Loving playing with washi tape at the moment, watch out it's kind of addictive. Here is our Xmas wall- vignette, it turned out a tad more loud than I had actually planned. I was totally aiming for a natural soft palette, but sometime I think... whatever! I truthfully found it tricky to pass on a bright red feather purchase; tis the season for a lil glitter and silly-ness after all! This feather Xmas wreath was soooooo easy to make. A lil wire, feathers and a glue gun, I think it cost me about $3 so very budget friendly too. I would really love to be able to tell you who inspired me to make it, I just cant remember who?? I know, forgive me if I am sounding like some kind of vacant vessel...It may have been a magazine or someone on Instagram. All I know is that it wasn't me therefore a massive creative thankyou their way, to whoever it was! Are you feeling very Merry yet?? You know, I think I am! I will be back on Thursday to do the final round up for this year of "Make do and Style- Xmas style". Think it will be time for a giveaway too, have so appreciated everyone that has tagged #makedoandstyle; from the bottom of my heart, can I just say that "you guys rock"! Have you checked out all of the photo's tagged #makedoandstyle on Instagram?? Oh you must, they are completely rad, beautifully styled and all round just great snippy snaps. 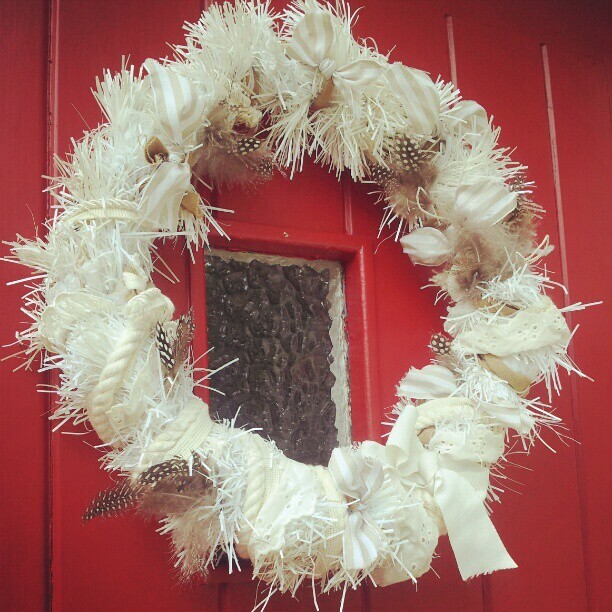 Cool wreaths, my Christmas decorating this year, has involved letting the kids do it all, while I paint furniture etc! Will get into it next week along with cleaning the house when my last market stall is out of the way! Thanks Deanne! Ooh Im painting furniture too. Tis v time consuming isnt it... worth it tho. Good luck gor your market! Thanks Tania!. Love my red door too, have wanted my own red door since I was 22 years old when I spotted one I liked up town in Nyc. So was very excited to finally get one myself! Love your feathered wreath. Too bl**dy hot for Christmas today!! !, but yes it's feels nice to have all the Chrissy gear up. Here's to cooler weather.